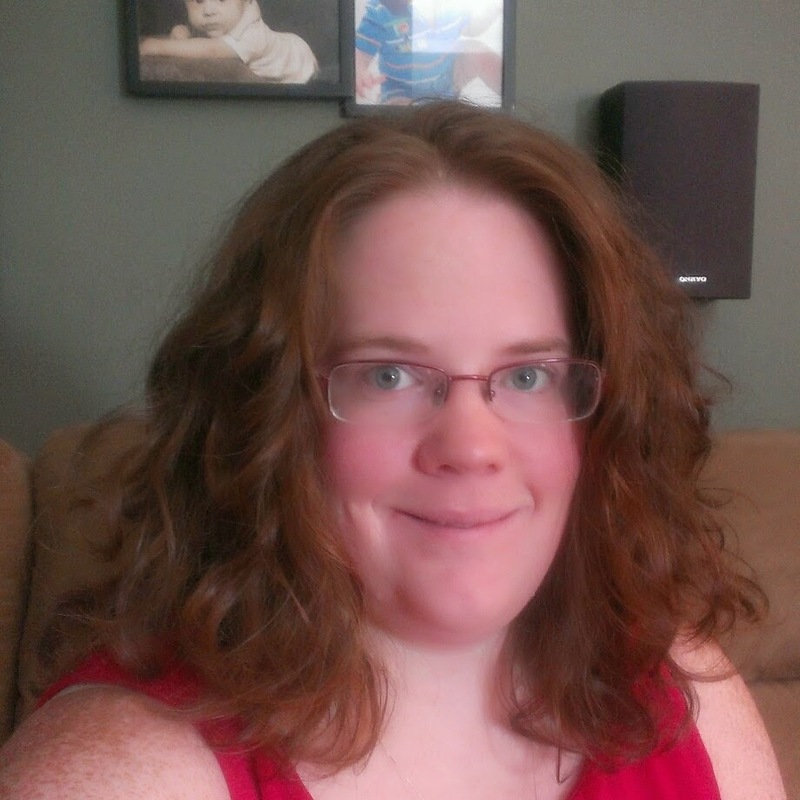 This morning, Michael woke up to the sounds of Daddy shoveling snow from the driveway and getting ready for work. Little did he know that there was more in store for him on the main floor of the house. Yep, looked like a little Leprechaun had visited our house last night. 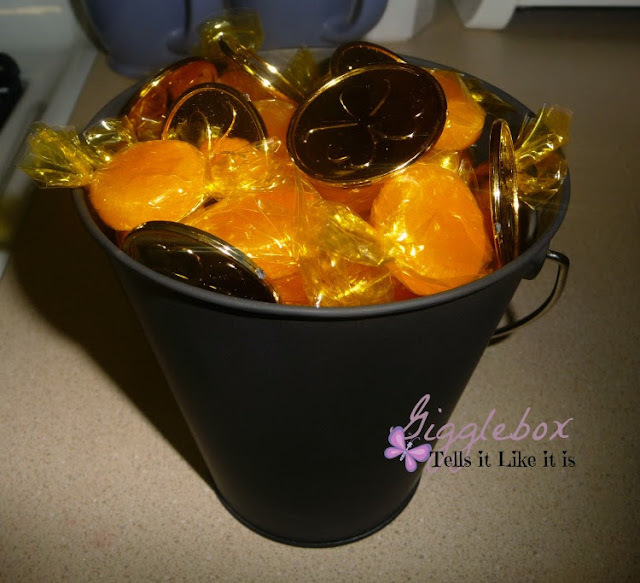 He used our half bath on the main floor and dropped a trail of gold coins that lead to a pail of gold coins and butterscotch candies! Here's how we pulled all this off. 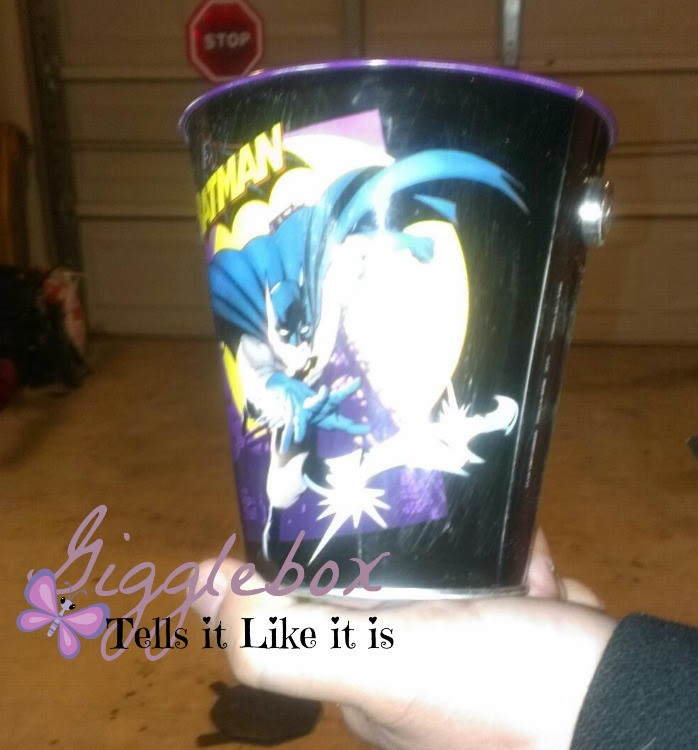 I had bought a Batman pail originally for a Christmas or birthday gift, but decided against giving it. My decision paid off! 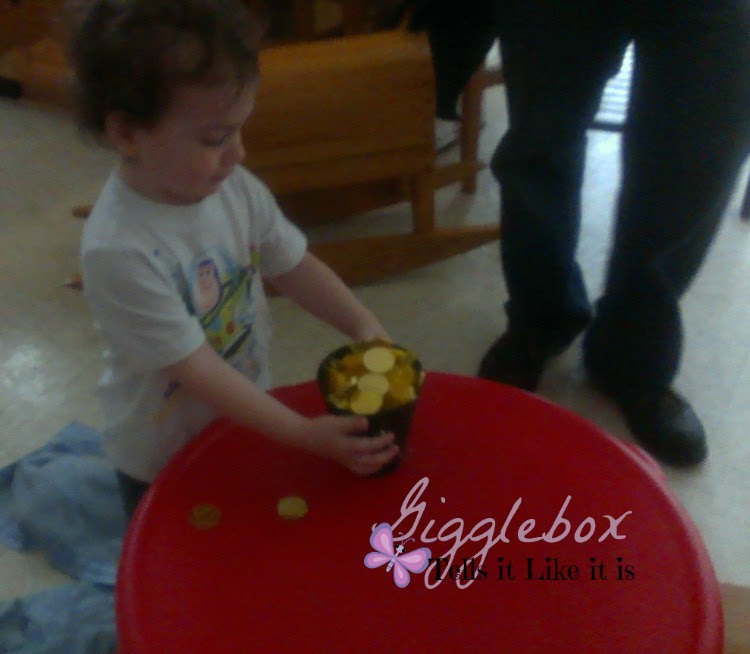 It was the perfect size to use for a container to hold a Leprechaun's gold. Jon took some sand paper to the pail so that the paint would stick better. He then did two coats of black spray paint on both the inside and outside of the pail. I added some butterscotch candy that I bought at the Dollar Tree and sprinkled some St. Patrick's Day gold coins that I bought at Michaels. It turned out great! 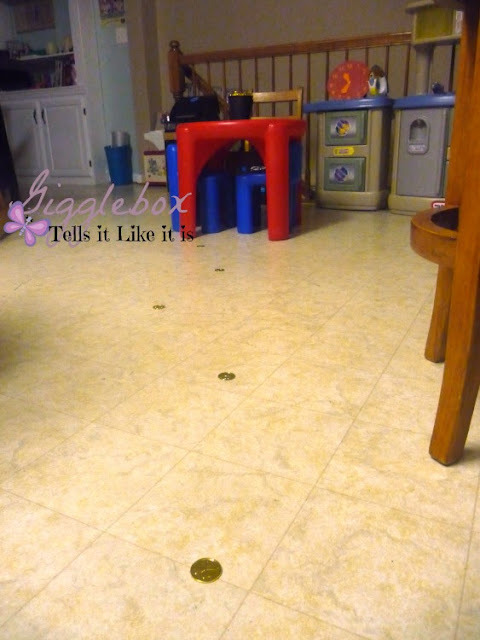 I then took the remainder of the coins and made a path from the stairs to Michael's table in the kitchen. 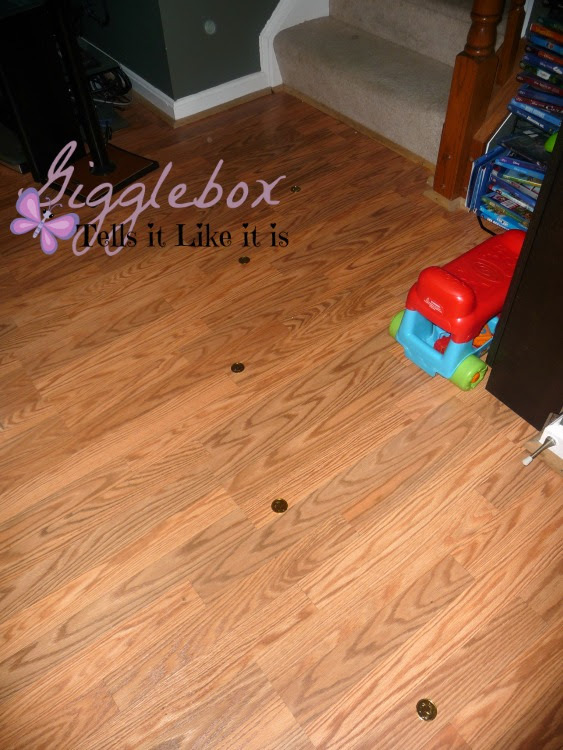 We then decided that we would make it look like the Leprechaun used the bathroom and then made the trail of coins. I filled a glass with water and then added a few drops of green food coloring. Stirred it up and then poured it in the toilet. 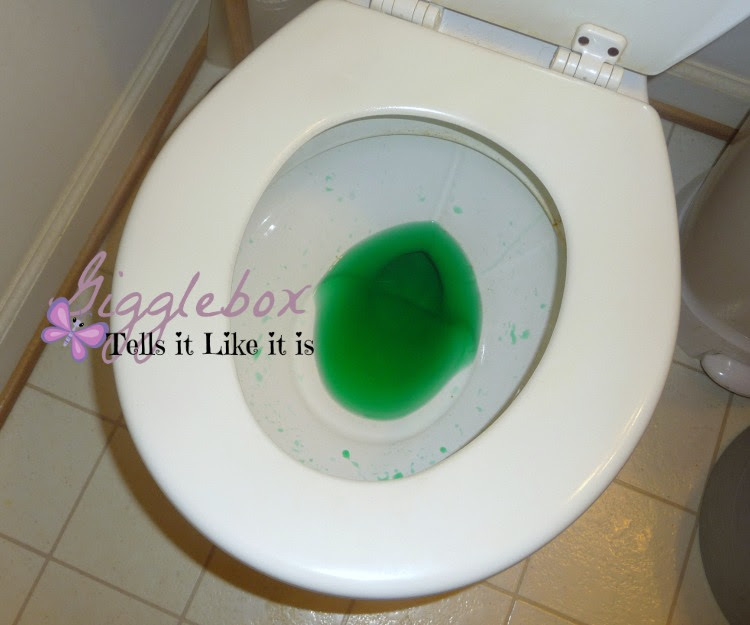 Michael had such a kick out of the fact that a Leprechaun used the bathroom and it was green! I think this was a success. Try it out with your little one next year! They'll have a blast.